The Soochow University is recognized by WHO and the graduates of MBBS program are eligible to take the Medical Licensing Examinations held by the medical councils in different countries such as MCI, PMDC, USMLE, HPCSA, SCHS etc. Survey of China, Advanced Mathematics, Chinese, Medical Chinese, Physiology, Biochemistry, Regional Anatomy, Pathology, Medical Microbiology, Medical Immunology, Medical Basic and Clinical pharmacology, Diagnostics, General Surgery, Parasitology, Pathophysiology,Radiology, Traditional Chinese Medicine, Infectious Diseases, Ophthalmology, Oncology, Internal Medicine, Surgery, Obstetrics and Gynecology, etc. 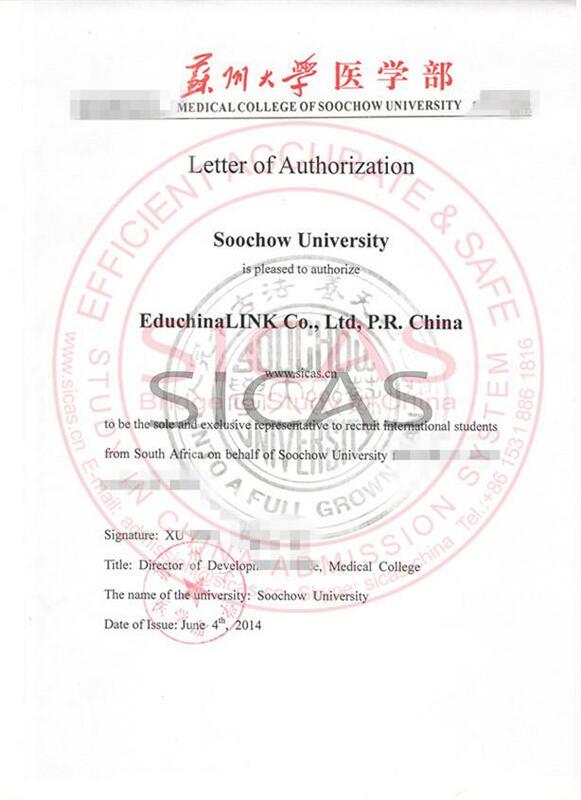 On completing the requirements of the teaching program and passing the graduation examinations successfully, international medical undergraduates will be granted a graduation certificate and conferred a medical degree by the Soochow University, if they meet the degree regulations of the Soochow University. The English copy of the degree will state MBBS (Bachelor of Medicine and Bachelor of Surgery). 1.High school graduate, Good in English. 2. The minimum eligibility criteria to get admitted into undergraduate medical course is that: Students should have obtained a minimum of 60% marks taken together in Physics, Chemistry and Biology. 3. 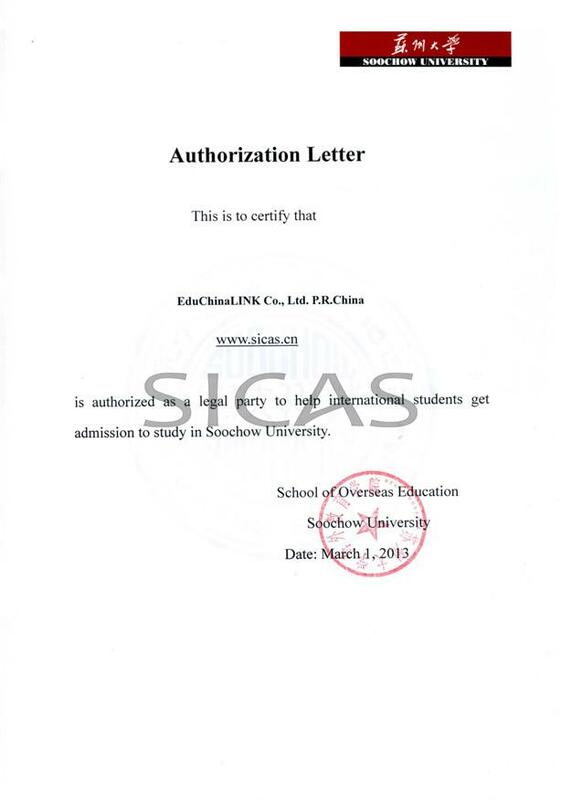 Soochow University reserves the right of selection based upon the students previous academic performance and will have interview with the applicants(if needed), and then issues the letter of admission and the visa application form.